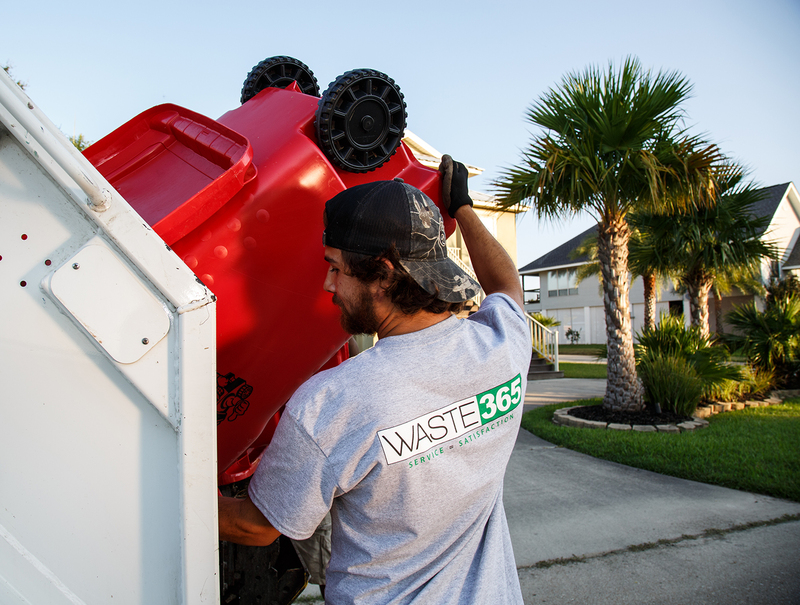 WASTE 365 provides waste management and trash collection services in St. Tammany Parish, Louisiana to the communities of Slidell, Mandeville, Covington, Abita Springs, Talisheek, Pearl River, and Lacombe. We started with a promise and commitment to improve waste management house-by-house and neighborhood-by-neighborhood in the communities in which we live and work. Our customers are our neighbors! They are Residential Homeowners and HOA's, Commercial Businesses and Apartments, Construction Sites and Special Events. Our commitment is to provide timely and consistent waste pickup. Our friendly customer service will help you set up your account, answer any questions you may have, and even pay your bill through our online payment system. WASTE 365 takes pride in being a part of your neighborhood and in communities throughout St. Tammany Parish. By working together, every day, we are making our community a better place for our children to play and our families to grow.